An inexperienced U13 Boys team had the chance of some useful practice with two matches against Dereham and Norwich City playing both teams twice. In the first match Magpies were outplayed by a useful Dereham team losing 2-0 and Magpies looked like a team that had not played together before. In the next match Magpies beat Norwich City 4-0 with goals from Eddie Martin, Jack Frere-Smith, Robert Johnson and George Collins. In the return game against Dereham Magpies were unfortunately 1-0 down in a minute but after that showed a terrific improvement as they really gave Dereham a game conceding a late second goal. In the final match against Norwich City Magpies won 3-0 with goals from Eddie Martin 2 and George Collins. 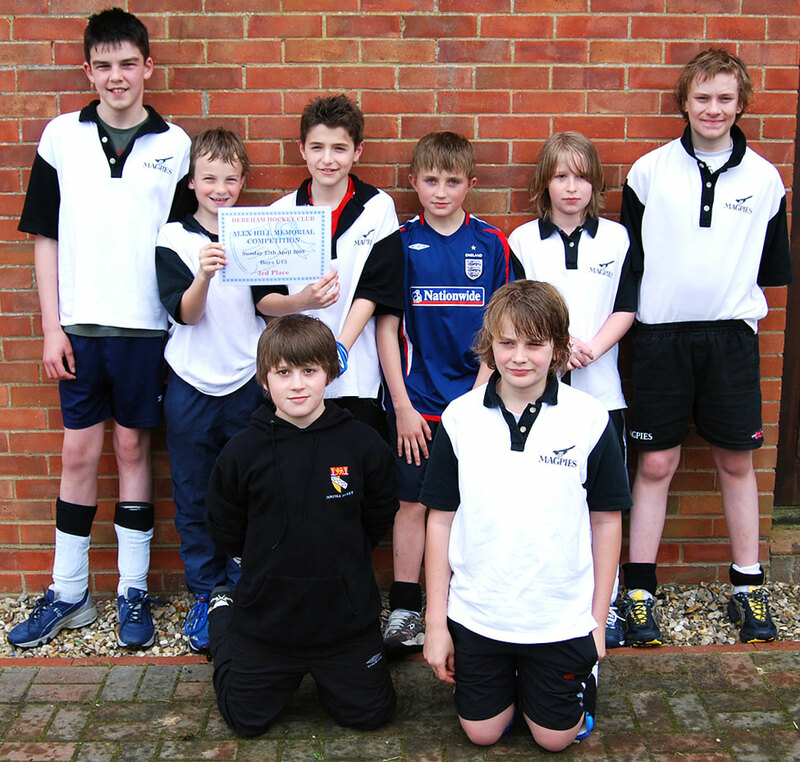 Team: George Collins (Capt), Jack Free-Smith, Eddie Martin, Jack Heydon, Robert Johnson, Jordan Wiseman and Toby McManus. Sonny Molloy was unfortunately ill on the day. 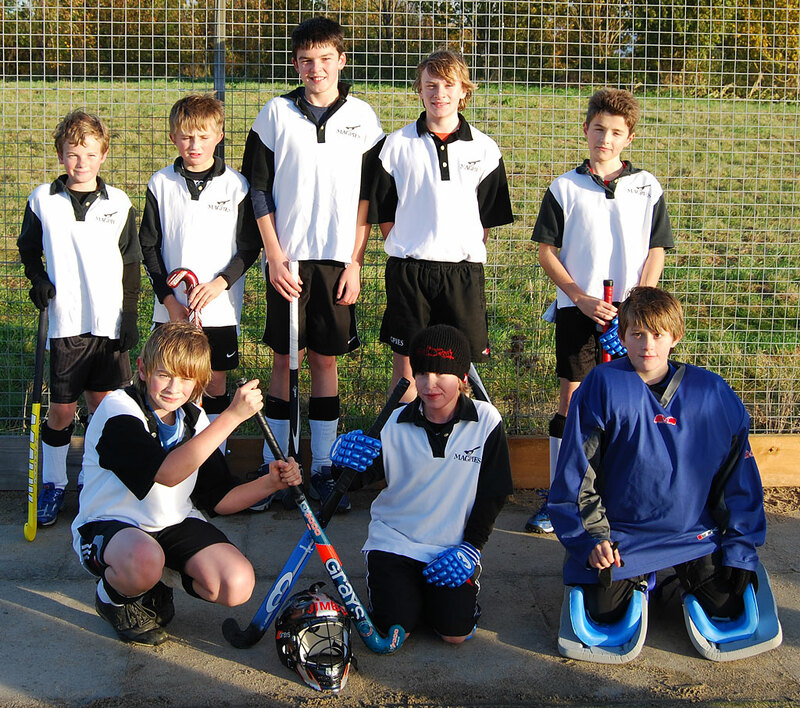 Harleston Magpies U13 Boys finished 3rd at the Pelicans Tournament. With the return of Sonny Molloy, Mitchell Tompkins and Elliot Ashurst to the team from the previous weekend at Watton this looked more like the regular team. A 1-1 draw (James Bensly) in the opening game was a promising start as Dereham have won most Tournaments this season. Unfortunately losing 0-1 to Pelicans in the next game and drawing 3-3 with Watton (Elliot Ashurst, Thomas Ridley and Mitchell Tompkins) was disappointing. Norwich City B team were beaten 7-0 (Thomas Ridley 3, Elliot Ashurst 4) and Dereham B 4-1 (Thomas Ridley, Mitchell Tompkins 2 and Elliot Ashurst). In the final game against Norwich City it was an end to end game and Mitchell Tompkins seemed certain to score as he rounded the goalkeeper onaly for a diving stick save from the GK to deny him a certain goal. Norwich went straight down the other end to take a 1-0 lead. Magpies battled back strongly to equalise through Mitchell Tompkins. Team: Thomas Ridley, Harry Murton, James Bensly, Rory Aldridge, Elliot Ashurst, Barnaby Carless, Sonny Molloy and Mitchell Tompkins. Magpies U13 Boys were depleted due to absences for half term but put up a creditable performance with several U11 Boys making their debut for the U13s. They lost their first game 0-2 to a useful Dereham side when Magpies were at their most vunerable as they tried to organise a new team. After that the Boys battled well drawing 1-1 with Watton (Thomas Ridley), 1-1 with Pelicans (James Bensly) and 1-1 with Norwich City (Sol Barker). 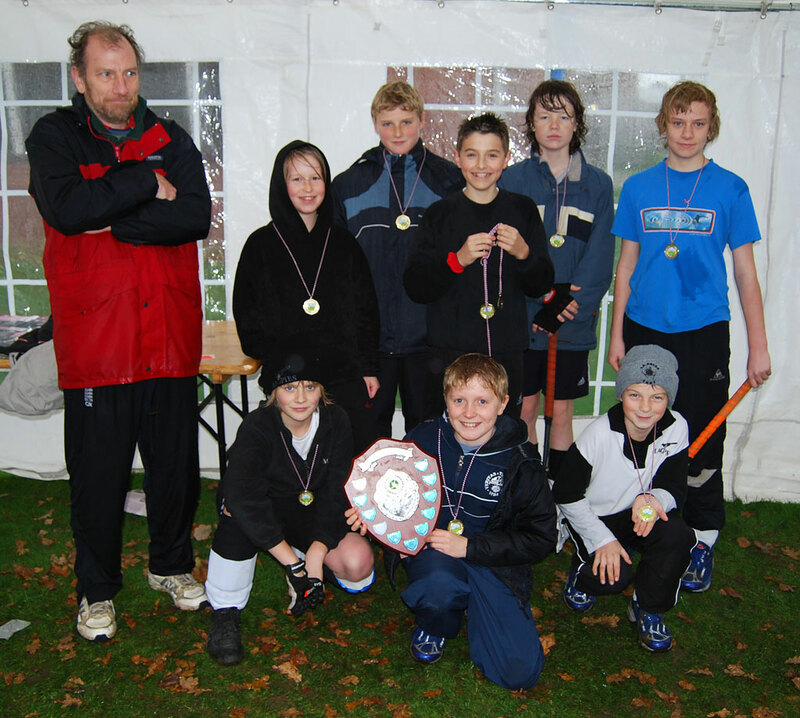 The U13 Boys finished 3rd. Team: Thomas Ridley, James Bensly, Barnaby Carless, Rory Aldridge, Harry Murton, Eddie Martin and Soloman Barker. Harleston Magpies U13 Boys finished as runners up at the Rudds Tournament held at Greshams losing 1-0 to Dereham in the final. Magpies played well throughout the Tournament beating Greshams 3-2, despite being 1-0 down in a minute. They also beat Norwich City 4-1. Martin gave special mention regarding Felix Trash in goal for some super saves, Oli Earl for some dogged tackling and high work effort and Barnaby Carless for maximum effort. Harleston Magpies Under 13 Boys finished as runners up in the Harleston Magpies Tournament to Dereham. Magpies fought back well to draw 1-1 against a strong Dereham team but slipped up by drawing 0-0 with Norwich in a game they needed to win. Team: Felix Trash, Thomas Ridley, James Bensly, Mitchell Tompkins, Elliot Ashurst, Sam Lyne, Sonny Molloy and Barnaby Carless. 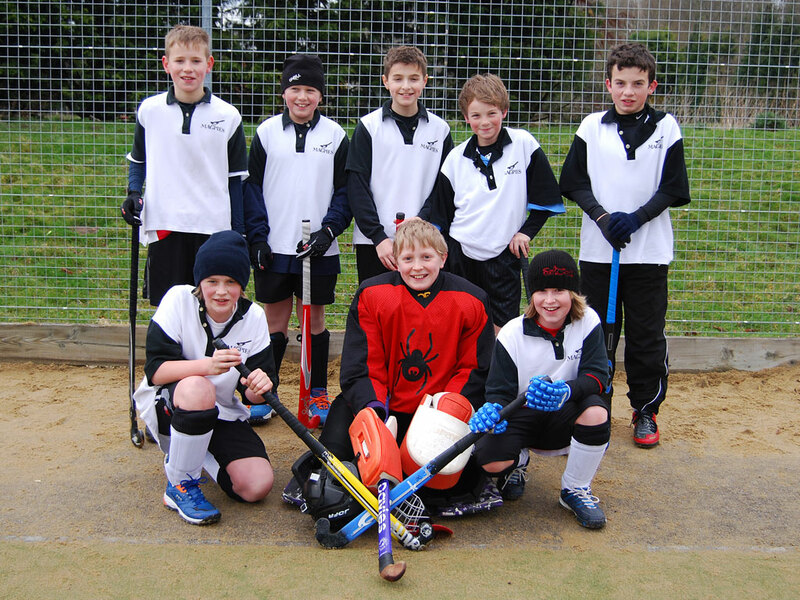 Harleston Magpies U13 Girls and U13 Boys teams both had a successful day at the first Mini Hockey Tournament of the season hosted by North Walsham. The U13 Girls played in the morning and started with a solid 1-0 win against Pelicans with Jemima Jacobs scoring the winner. From then on the goals started to flow beating Dereham 3-0 (Sarah Brook, Paris Wood and Holly Baker) , North Walsham 5-0 (Sarah Brook 2, Holly Baker and Jemima Jacobs 2), and Watton 4-0 (Jemima Jacobs 3 and Holly Baker). In the final game Magpies finished with an impressive 8-0 win against Norwich City with Jemima Jacobs scoring 6 with further goals from Holly Baker and Sarah Brook. This was a promising start with the team showing some lovely passing movements. Team: Katie Rudd, Hannah Gormley, Sarah Brook, Holly Baker, Kira Wooltorton, Paris Wood and Jemima Jacobs. 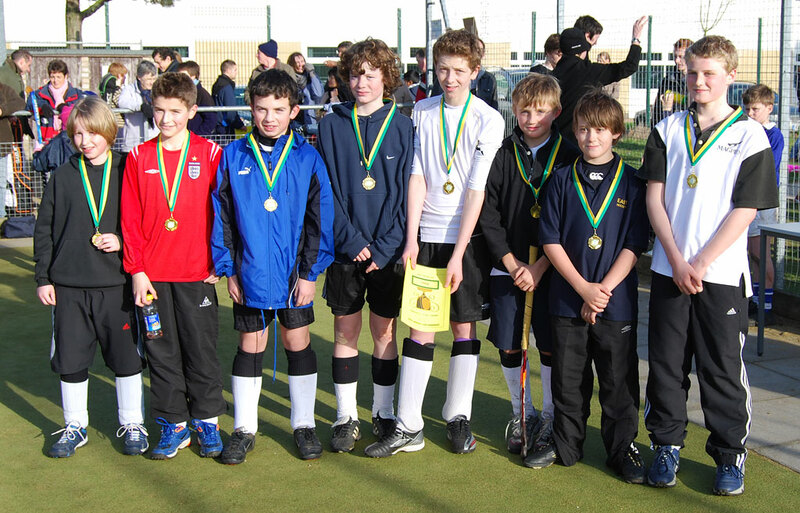 The U13 Boys also played well in the afternoon to win their Tournament. Magpies twice led in the opening game against Dereham but were finally held to a 2-2 draw with goals from Sam Lyne and Mitchell Tompkins. A 4-0 win against Pelicans saw the team grow in confidence as James Bensly, Sam Lyne and Mitchell Tompkins 2 scored the goals. There was no stopping Magpies now as they beat North Walsham 6-2 (Sam Lyne 2, Mitchell Tompkins 2, James Bensly and Sonny Molloy), Watton 5-1 (Sam Lyne 2, James Bensly and Mitchell Tompkins 2) and finally Norwich City 6-0 (Sam Lyne 2, James Bensly, Mitchell Tompkins 2 and Josh Elgood) to clinch the Tournament. This was a good team performance with Sonny Molloy playing well at the back and U11 goalkeeper Jordan Wiseman helping out with some good saves. Team: Mitchell Tompkins, Sam Lyne, Rory Aldridge, Josh Elgood, James Bensly, Sonny Molloy and Jordan Wiseman. Magpies side finished up with 15pts, 10 goals for, 2 against, which gave them 3rd place in the competition on goal difference having tied with: Dereham B (15pts) who came 1st, and Pelicans A (15pts) who were 2nd. A young Magpies side finished up with 6pts, 3 goals for, 4 against, which gave them 4th place in the competition. Norwich City were 1st, with Pelicans finishing 2nd. Magpies finished up with 15pts, 17 goals for, 2 against, which gave them 1st place in the competition. Dereham were 2nd, with Pelicans finishing 3rd. Magpies finished up with 10pts, 5 goals for, 0 against, which gave them 1st place in the competition. Norwich City were 2nd, with Pelicans finishing 3rd. Magpies finished up with 15pts, 15 goals for, 2 against, which gave them 2nd place in the competition. A strong Norwich City side were worthy winners of the Tournament, with Dereham finishing 3rd.